MILAN (AFP) – Italian Formula One outfit Ferrari are set for a management reshuffle with team principal Maurizio Arrivabene to be replaced by technical director Mattia Binotto, according to reports in Italy on Monday (Jan 7). Gazzetta Dello Sport reported that Arrivabene’s contract will not be renewed following another disappointing season, with management errors blamed for the team missing out once again to Mercedes. Ferrari president John Elkann has decided that Binotto, 49, is the right man to lead the Italian stable in 2019, Gazzetta reported. Arrivabene, 61, a former marketing chief with Philip Morris, replaced Marco Mattiacci in 2014, but during his four-year reign Ferrari failed to break Mercedes’ stranglehold on the F1 title. 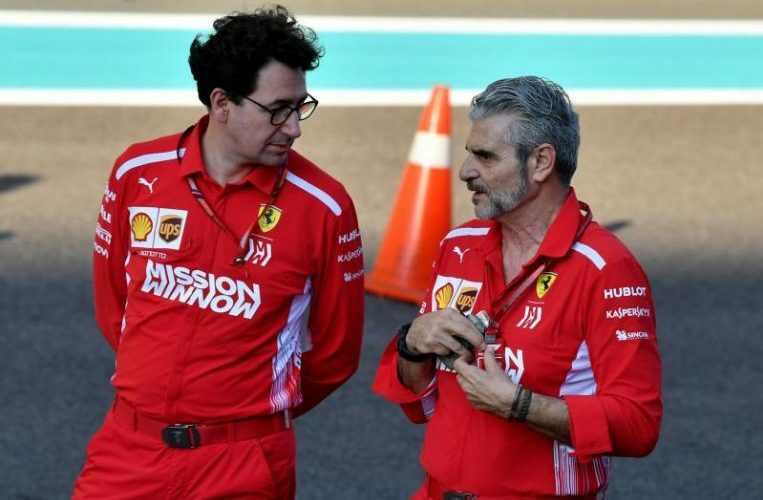 Swiss-born Binotto has been with Ferrari since 1995, starting off as a test engineer, moving up to chief engineer before being appointed technical director in 2016. Ferrari’s Sebastian Vettel failed to win the title in 2017 and 2018 despite a close fight over much of the season with Mercedes’ Lewis Hamilton, who has now won five world titles. The team will have a new driver next season with Monaco’s Charles LeClerc replacing Finn Kimi Raikkonen, who is moving to Sauber. The Australian Grand Prix on March 17 kicks off the 2019 season.